Website Design Arlington VA | VISIONEFX provides web design in Arlington VA. Cambridge Global selected VISIONEFX for logo redesign and a redesign of their primary website. After three months CGC returned to have VISIONEFX design two additional websites for the company’s initiatives. 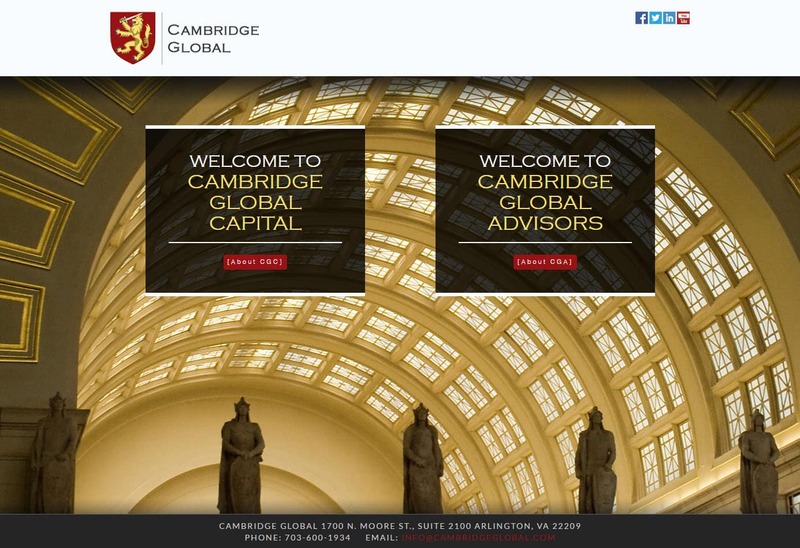 Cambridge Global has offices located in Arlington, VA. Your website reflects your brand and services. It integrates with online marketing campaigns. It should respond to all screen sizes. Your website has correct SEO to break Google barriers. We are a best in class web design agency that can do all of that and more. Our web design team will work with you every step of the way from planning to launch and long after. We are a custom web design agency that crafts powerful online branding and design.